In stock - low quantity. Order in the next 19 hours, 38 minutes and it will go out today! 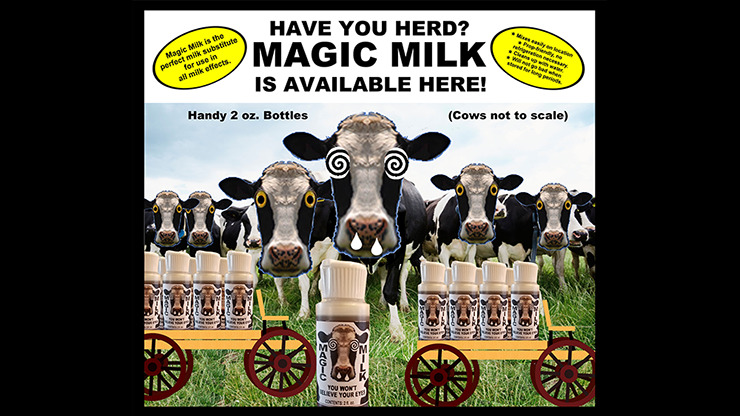 Magic Milk is the perfect milk substitute for use in all of your milk effects. It mixes easily on location, requires no refrigeration and is prop-friendly. Cleans up with water and will not go bad when stored for long periods. Use Magic Milk for all of your milk magic. You'll notice the huge improvement, making your life much easier!